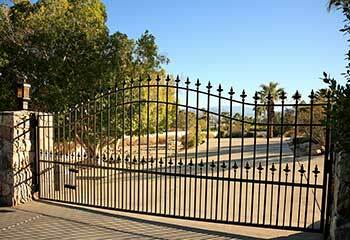 As a company with many years of experience in repairing and installing gates, openers and intercoms, we are proud to showcase our latest projects. Find out how we solve problems. Customer Issue: Our customer had ordered a 14-foot wrought iron swing gate in black color and required professional installation. 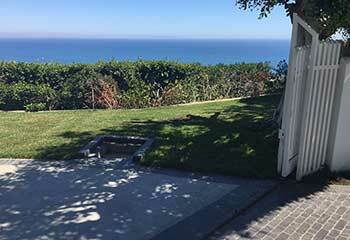 Our Solution: We set up the posts securely, welded the hinges firmly and installed the panels, ensuring they were perfectly even and moved freely over the driveway surface. Customer Issue: The sliding gate was making a loud scraping noise while opening and closing. Our Solution: The driveway gate chain was dry and loose, so we greased it and tightened it to have a slack of just over 1.5 inches for optimal performance. 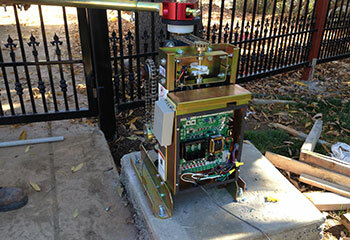 Customer Issue: Mr. Ward had bought an underground gate operator requiring professional installation. Our Solution: We determined the best place for the DoorKing 6400 mechanical underground opener, set it inside the protective enclosure, connected it to the gate and to the power source and programmed the controls.